Finding the right Brunswick roofing company makes all the difference. When customers need to have their roofing needs addressed, calling the roofing contractors at The Roof Maker, Inc. will guarantee the results you are looking for. It is a good idea to already have in mind a professional roofer to work with for any related service needs that may arise. You will quickly come to realize what makes us the local leading service provider, and depend on us for all of your Brunswick service needs. At some point, if you reside in your Brunswick home long enough, you are going to need a roof replacement. One of the most common questions we get though, is about how to determine if you need replacement or if roof repairs would suffice. 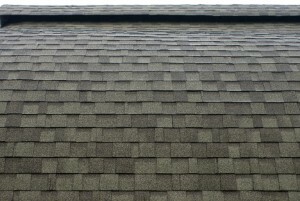 Know the current age of your roof and the life expectancy of the material. For instance, if you have an asphalt roof, 20 years is the approximate longevity. So, if it is getting near that mark, you may want to plan for replacement. Play it safe by calling on our team of trustworthy pros for all of your Brunswick roofing contractor service needs and you will never have to worry about the honesty of our diagnosis.